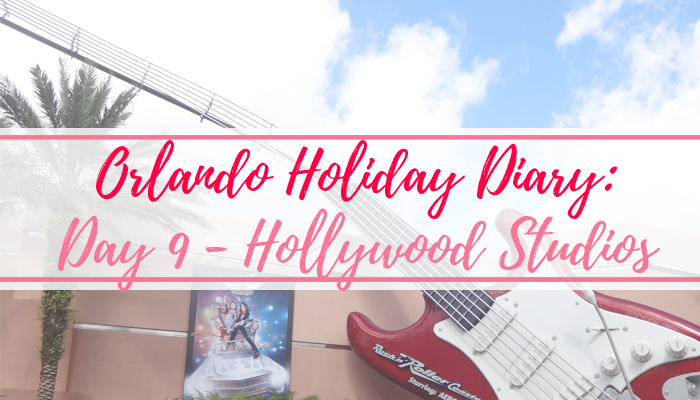 Tania Michele: Orlando Holiday Diary: Day 9 - Hollywood Studios! After Hurricane Irma had left the area, the curfew was lifted, which meant on Tuesday the 12th of September, we were allowed back outside! We were eager to eat something that wasn't crisps or chocolate, as that was all we'd pretty much had for the last 2/3 days. 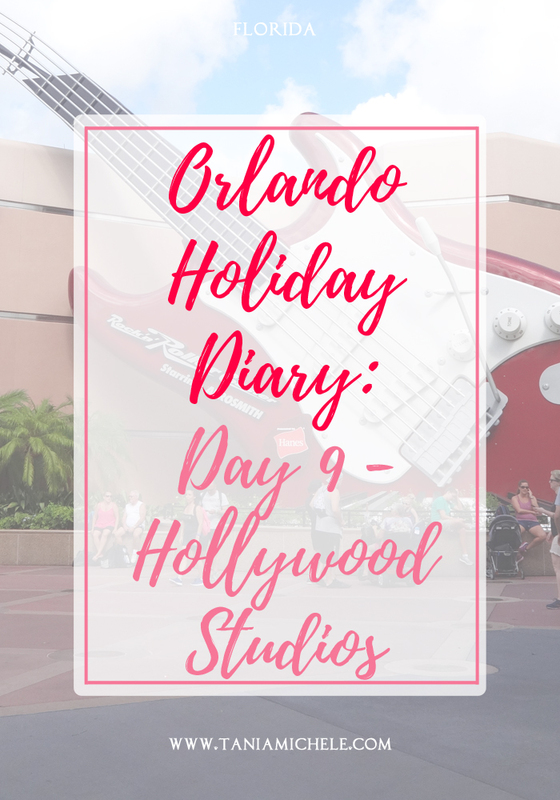 So, getting back on schedule, we headed off to Hollywood Studios, to celebrate my 25th birthday a couple of days later than planned. We headed straight for Toy Story Mania, as we knew that would be busy, plus we had Fastpasses for the other main attractions. This ride is so much fun, I can totally see why the queue can be so long at times. After this, we headed to the Star Wars Launch Bay, and watched a mini film about the movies, and then went to have a browse around the Launch Bay. 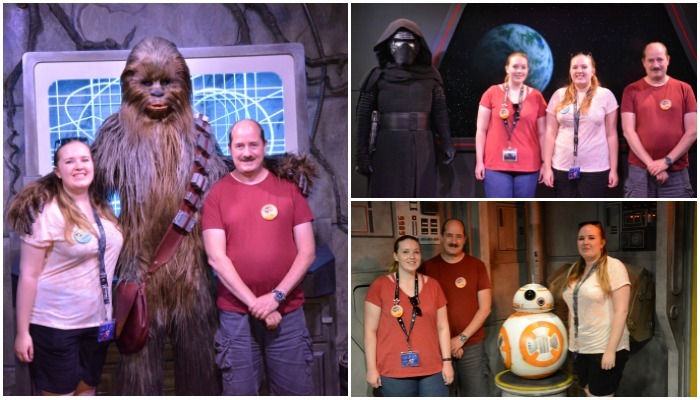 While there, we met Kylo Ren - which was our first character experience so we didn't know what was going on, but then we figured it out and went to meet Chewbacca and BB-8! From there, we ventured to the Hollywood Tower Hotel, before skipping the hour line for Aerosmith's Rock 'n' Rollercoaster. After the rides, we headed to the Sci-Fi Dine In Theater for dinner. It was DELICIOUS, and not snack food, yay! This is such a unique place to eat, so I highly recommend booking it, but we were able to walk-in as we were so early. After eating we wanted to see the Indiana Jones Stunt show, but we were a little late arriving, so sadly didn't get great seats - but still got to see the show! When we got back to the villa, we still didn't have power or air con, so we had a quick dip in the pool, before we headed out out to Ponderosa for dinner. We checked out the discount store next door to it, and then we got home, the power had come back on!